Short-term business loans can give your business the fast cash it needs to bridge cash-flow gaps, handle emergencies and other immediate financing needs, or take advantage of a business opportunity. Think of them as quick-turnaround loans: Borrow what you can pay back relatively quickly so you can focus on running your business rather than managing debt. Short-term lines of credit: Kabbage, Fundbox and BlueVine. Short-term business loans: OnDeck, StreetShares and Credibility Capital. Lines of credit are more flexible and generally have shorter repayment periods than short-term loans, making them more suitable for managing cash flow. Kabbage and Fundbox are good options for borrowers with bad credit. 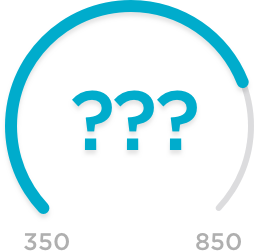 Pros: Fundbox does not require a minimum credit score, while Kabbage’s minimum is 560. Cons: Kabbage is costly compared with other options; Fundbox repayment terms only go up to 12 weeks, compared to six or 12 months at Kabbage. BlueVine is a good option for newer businesses. Pros: Only requires a minimum six months in business to qualify; fast funding. Cons: High borrowing costs; need strong revenue. OnDeck is a good option if you don’t have perfect credit. Pros: High borrowing amounts; fast funding. Cons: Costly financing; frequent repayments. StreetShares is a good option if you have low revenue. Pros: Revenue requirement starts at $75,000; no prepayment penalties. Cons: Funding maxes out at $150,000 for term loans. Credibility Capital is a good option if you have strong credit. Pros: Low rates starting at 10%; no prepayment penalties. Cons: Requires strong credit; shorter repayment terms. Higher cost: Short-term business loans typically carry a higher annual percentage rate, or APR, than long-term loans. Use NerdWallet’s business loan calculator to figure out how much a loan will cost you. More frequent repayments: Some lenders require payments daily or weekly as opposed to monthly. Although these payments are smaller, their frequency can be an issue for businesses that have uneven sales or don’t always hold much cash in a bank account. Risk of debt trap: The speed and ease of short-term business loans can become addictive. Instead of repaying the debt in full, business owners may be enticed to refinance and roll over the debt into a new loan.